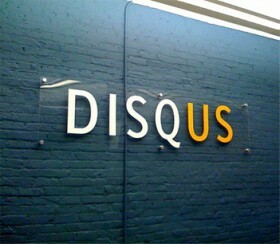 You will notice that I am giving the Disqus commenting platform another try. I’ve been using Disqus over at the Atlantic and I have not had any problems. In the past the biggest drawback was the speed with which comments loaded, but that does not seem to be any longer an issue. The interface has also been streamlined, which I like a lot. I recommend playing around a bit by leaving a comment or two on this post. Some of you will notice that I removed the Recent Comments feature from the sidebar. The standard WordPress widget is not compatible and Disqus no longer supports their own, which I do not understand. I am looking into possible solutions, but for now I recommend subscribing to the comments for those posts that are of interest. You can subscribe via feed or email, which you will find at the end of the thread. Of course, I will monitor things from my end, but let me know if there are any problems and/or if this is going to seriously hamper your Civil War memory experience. Leaving a comment, per your request. So, um, hey! That is all. I appreciate the feedback. Is it the aesthetic of it or functionality? Do you not like having to create an account or does it come down to simpler is better? Thanks. Probably simple was better but everything changes, so it’s fine. I posted using my Twitter name so no problem. Sorry for being difficult. I appreciate the feedback. I really wanted something that gave the user a bit more control over their comments. Disqus is being used widely and many of my readers have accumulated a small library of comments using the platform. I also like the sharing options. Haven’t had any major problems with it thus far so I will likely stick with it. I’m actually disappointed that they dropped support for the widget. A year ago I jumped ship to Livefyre because it was a better commenting system, however, Disqus has seemed to pull their game together so I switched back last week. I’ve been searching on end how to get a sidebar widget, which is why I am here. I’m hoping they fix this.